The project objective is to provide support to journalists in production of quality reporting on European integration of Montenegro and to contributeto media reporting objectively, freely, in a professional and ethical manner. 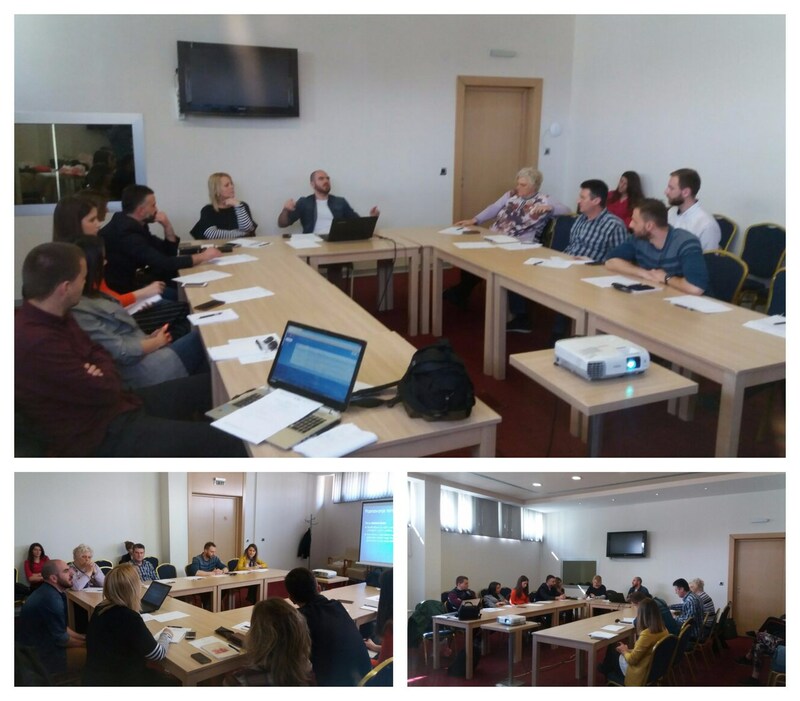 Project objective is to contribute to decline in discrimination and promotion of tolerance and respect for Human Rights in Montenegro, as well as to support Human Rights CSOs in Montenegro. Let’s put corruption into museum! Overall objective is contribution to improving the quality of EU integration process in Montenegro, by strengthening the rule of law. Only knowledge should et you the title! The objective of the project is to support the process of aligning higher education system in Montenegro with EU education systems and to put MNE on the map of the European Higher Education. The project objective is to strengthen the role of civil society in promoting human rights and democratic reforms in Montenegro, in supporting the peaceful conciliation of group interests and in consolidating political participation and representation. Project LANGUAGES AND NATIONALISMS through dialogue of experts reflects on existence of four "political" languages at the territory of former Croat-Serbian / Serbian – Croat, as well as on all those important and challenging topics in which linguistics as science is crossing with identity policy with no principles. 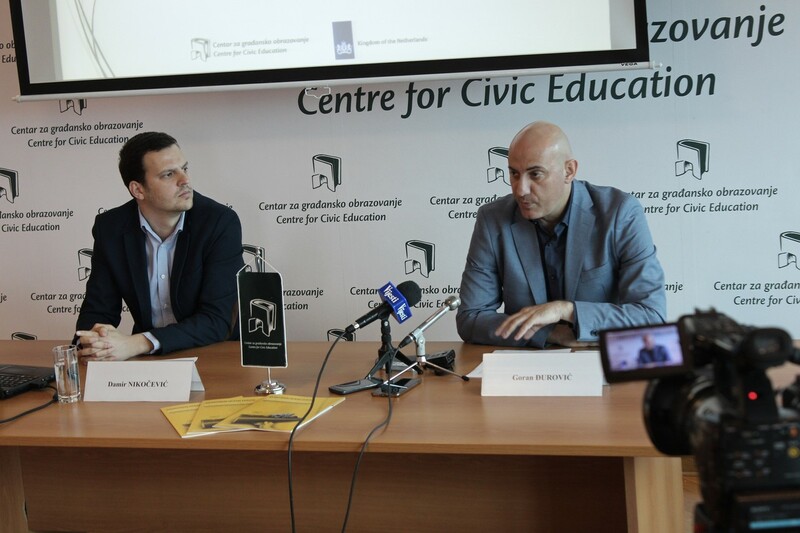 Quiz EUmetrija is implemented by the Centre for Civic Education (CCE) in cooperation with TV Vijesti, with the support of Ministry of Sports, EU Delegation to Montenegro, European Integration Office, Ministry of Education, EU Info Centre and UNDP. 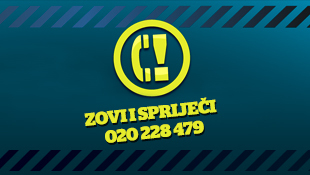 It is broadcasted on TV Vijesti on Sundays at 17h30. Knowledge and Skills for Jobs! Objective of project KNOWLEDGE AND SKILLS FOR JOBS! 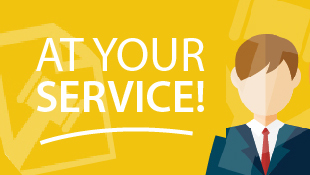 is to contribute to solving of problem of unemployment of Montenegrin graduates, through the improvement of their skills and knowledge and inclusion on labour market, both through the cooperation of key sectors of society - state administration, NGO sector and business sector. Project objective is the improvement of skills of students from the departments of Journalism and Political Sciences from the Faculty of Political Sciences through the transfer of knowledge within the scientific institutions and small and medium sized companies and networking of these sectors - all for the benefit of students who require practical form of education. First Democratic forum – How to transform populism from a threat to challenge on learning about democracy? Project objective is to support critical approach and tolerant, rational and responsible public communication amongst the decision makers and other stakeholders active in democracy shaping in Montenegro with reference to developments in Europe and the world. Are you inspired by the European Union, its culture and values? How do you see EU? What do you expect from the challenging process of Europeanization of Montenegro? How does that affect your life? What are you personal expectations? 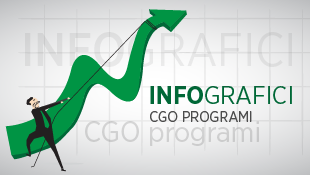 Overall objective of project is the contribution to improvement of accountability and transparency of local self-governments in Montenegro in line with the principles of good governance. The aim of the regional project «Civil Society Networking on Human Rights Values in Serbia, Montenegro and Kosovo» is strengthening of capacity and role of OCDs and individuals in promotion and protection of rights of LGBT, advancement of women representation in political and social life and fight against discrimination in Montenegro, Serbia and Kosovo. The aim of the initiative for RECOM is founding of Regional Commission for establishing facts on war crimes and other severe human rights violations at the territory of former SFRY. Democracy School is dedicated to understanding of the idea of democracy and the manner of implementation of that idea. Within the School theoretical knowledge is being examined, as well as comparative practice and the skills and manner of implementation of democratic concepts in everyday life, and in particular in the political sphere. It is necessary to ensure non-selective application of Law on Electronic Media towards all broadcasters which have broadcast license, in order to protect public interest within the area of informing citizens on issues important for satisfying everyday life needs, as it was concluded today at the presentation of the study of Centre for Civic Education (CCE) on work of Agency for Electronic Media – Controlled Chaos in Regulation of Electronic Media. Councilors – representatives of citizens or interests of political parties? The Coalition for Transparency and Fight against Corruption at the Local Level (KUM) notes that democracy at the local level in Montenegro is not sufficiently developed. Challenges are particularly identified in insufficient understanding of the role of councilors in local parliaments and the need for continuous communication with citizens even after the end of electoral procedures. However, last developments in Bar, Zabljak and Podgorica are announcing waking up of the awareness of citizens who insist on supremacy of public over political party interest. Unfortunately, we are witnessing cases that warn that citizens’ participation in decision-making processes at the local level ends with elections. Surveys indicate that citizens do not sufficiently use mechanisms of local democracy (public hearings, civic initiatives, consultative referendums, local communities, citizens’ associations, etc.). On the other hand, local self-governments are not sufficiently proactive to involve citizens in consultation on important issues. The Centre for Civic Education (CCE) assesses that this International Roma Day in Montenegro is again welcomed without significant progress in the inclusion of Roma into Montenegrin society. Numerous prejudices and stereotypes towards Roma persist and aggravate the integration and full involvement of Roma in all spheres of society. 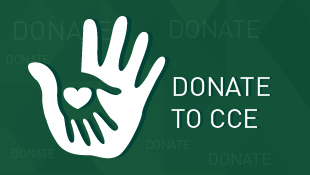 The CCE research on the perception of discrimination indicates that this group remains at the top of the scale of those who are most exposed to discrimination in our society. Ethnic and social distance, both among general and youth population, is most expressed towards Roma. In the past years, there has been some degree of Roma inclusion into education, but it seems more formal than essential. Such is the attitude towards Roma inclusion in all areas of social life. Observed in figures, the biggest shifts are recorded in education, since that was the field where the start was from zero and today a large number of Roma children are enrolled in schools, although the coverage is still not complete. However, the number of Roma who have successfully complete their education is very small, and also only rare of those who enroll in elementary school get to the faculty. The quality of education that Roma get is also questionable, because of the frequent occurrence, although insufficiently explored, that lower criteria are applied to pupils of Roma population, i.e. lower standards of knowledge and achievement are sought. The fact that something is wrong with the acquired formal education is evidenced by the high unemployment rates of Roma students with secondary school or university degrees. In order to provide an adequate results, further efforts are necessary in working with the community, promotion of the importance of education, more serious approach and cooperation with parents, working with children from other groups within the school to affirm mutual understanding and acceptance amongst children, improvement of the awareness of teaching staff, and their competencies to work with children from vulnerable groups, stronger promotion of the importance and achievements in the field of culture and the history of Roma through educational programmes, overcoming language barrier, which is often the cause of poorer educational achievements. Without quality education there is no successful inclusion and movement into the labor market. The majority of Roma is not employed, and those who work most often are employed in the utilities sector. The problem of unemployment is also affecting the inability to solve housing issue and to satisfy whole range of elementary social and economic rights and needs. Poor education and unemployment entail the Roma into a vicious circle of poverty, i.e. social exclusion and vulnerability which, due to the failure of these problems, transmit to further generations and permanently marginalize this group. The position of social deprivation of Roma is often abused for political purposes and political deals, while at the same time they do not have the opportunity to organize themselves politically and articulate their demands through representatives in the Parliament of Montenegro. Despite numerous initiatives, legal principle on the acquisition of the right to a guaranteed parliamentary mandate, already applied for members of Croat community, has not been provided to representatives of the Roma minority community in Montenegro. Finally, despite the narrative of authorities and tricky statistics on how to achieve results in the inclusion of Roma, we can meet dozens of Roma children who beg daily, and who are on the streets instead of at the school. Most turn their head when they see these children. It is public secret that these children are exploited, but the institutions do not deal with the prevention of this phenomenon. Social and institutional neglect of this grave violation of children’s rights makes it “normalized” and turns into a dangerous attitude that we adopt and enroot in as a society. And it is quite clear that with this attitude we cannot progress as a society of human rights culture. Centre for Civic Education (CCE) organized, today in Podgorica, training for journalists on the phenomenon of radicalization and violent extremism, providing specific guidelines for quality reporting and research on these issues, as well as monitoring of the security sector and relevant institutions work in this field. During the training, the concepts of terrorism, radicalism and extremism and methods of reporting have been considered, i.e. what should and should not be done during reporting, the most common mistakes that occur in reporting about these complex and sensitive issues through practical examples. Furtheremore, credibility of sources and reporting forms on radicalism and extremism were discussed. The work was interactive with examples of reporting that were carefully analyzed in order to understand the lessons learned when it comes to research and coverage of these topics.